Baseball wall sticker. 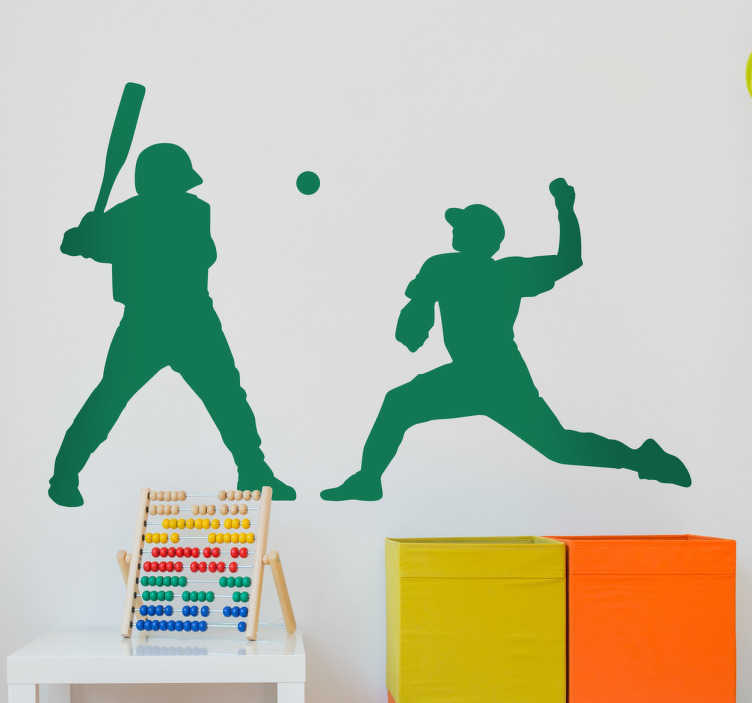 This wall sticker consists of a silhouette outline of two baseball players. One of the players is pitching the ball while the other is lining up his swing ready to hit the ball. If you or your child are crazy baseball fans, this wall sticker is perfect for you. This sticker is suitable for a playroom/baseball club or even the bedroom. This sticker is available in a variety of sizes and colours.